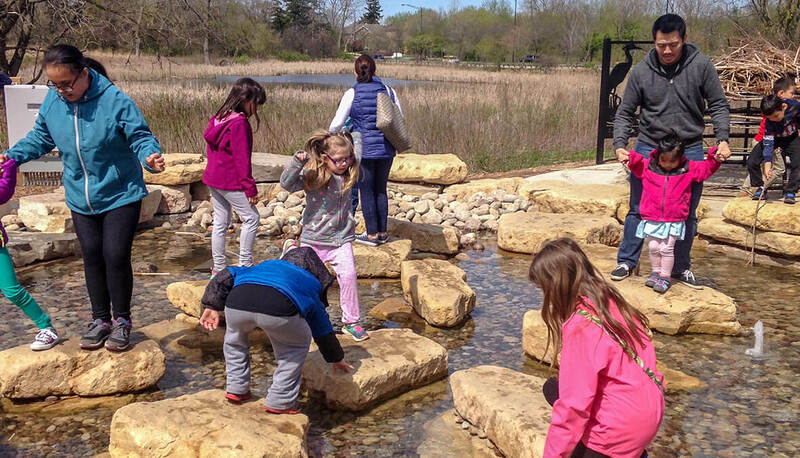 Through the Spring Valley Nature Center, the Schaumburg Park District hosts a wide variety of well attended outdoor educational programming. 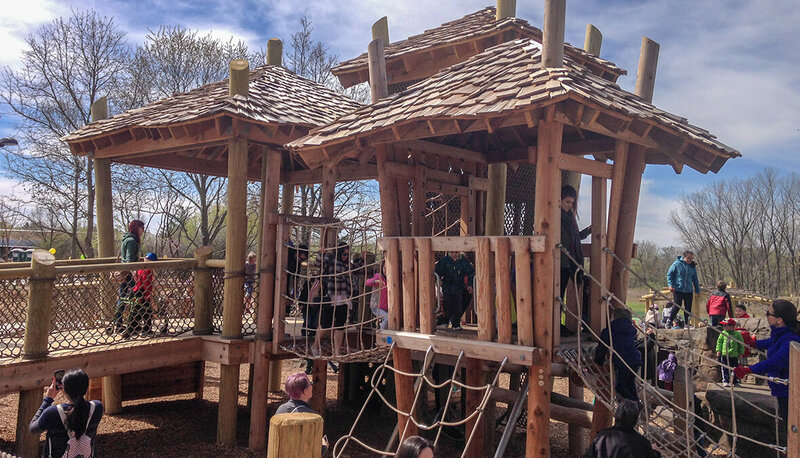 In an effort to extend the programming and incorporate play while also educating children of all ages about nature, the Park District retained Hitchcock Design Group to lead a team to develop a nature-based play space within the nature center that would immerse children in an ecosystem that included native grasses and forbs, woodland trees, a stream and a pond. The goal of the project is to lead children through an exploration of three ecosystems including a prairie, wetland and a savanna. 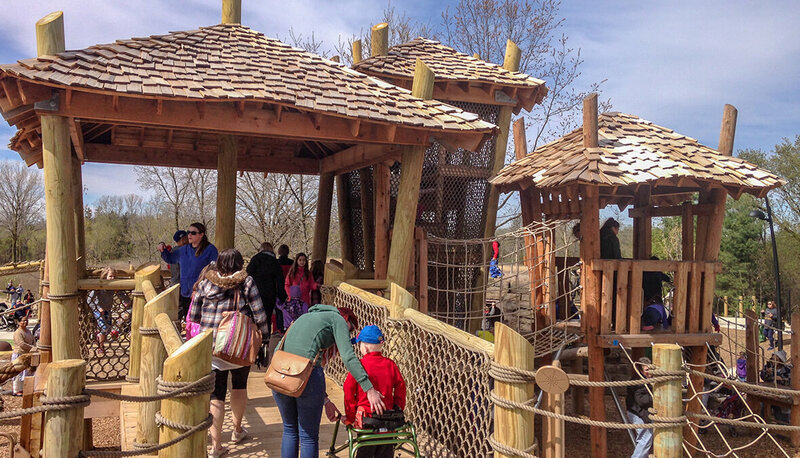 During their wetland exploration, children will have an opportunity to engage with features like cattail chaos, build their own beaver and muskrat lodges, participate in painted turtle art and hop with Sallie the Salamander in her hopscotch area. 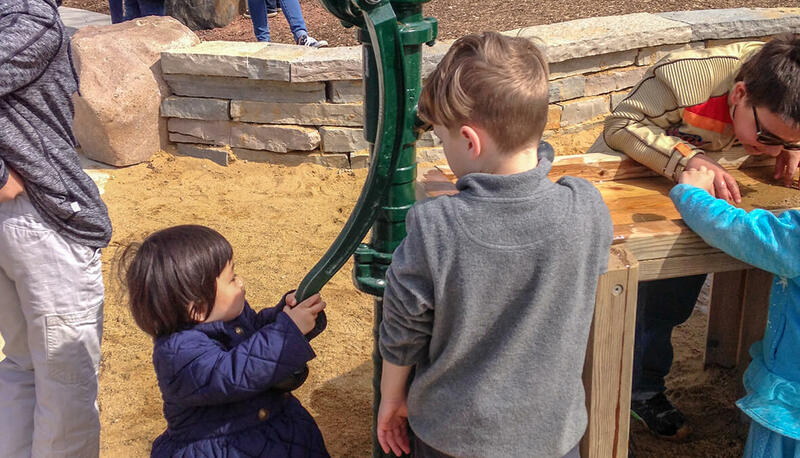 While in the prairie ecosystem, children will explore the music of the prairie, look through the dragonfly kaleidoscope, play musical instruments, traverse the balance course, and take a ride on the seed spinners. 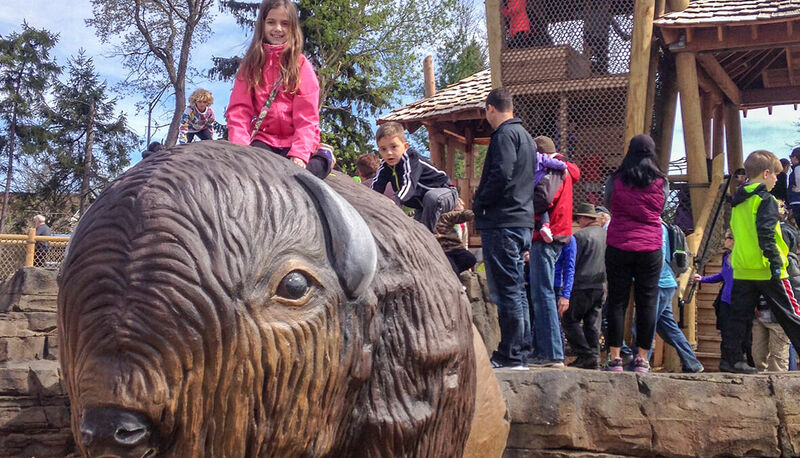 The visit to the savannah will provide children with the opportunity to climb the curious scurious raccoon rendezvous, slide down the rodent run, and muscle up and over the Bison’s Bluff climbing zone.